Today marks the one year anniversary of the explosion of Deepwater Horizon which would end up resulting in the worst oil spill this country has ever seen. Today marks the deaths of 11 human beings that were killed in the explosion. 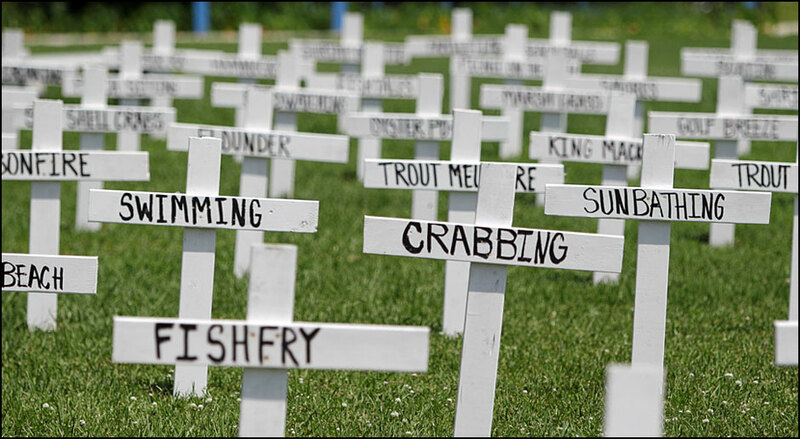 It also marks the deaths and injuries of countless animals, plant life, industry, and health of the vast area of ocean, land, and its inhabitants near the original spill. We have only just begun to see the horrific damage that has been done and is still to come. Thousands of animals were killed in the immediate aftermath of the oil spill. Many more continue to turn up dead, especially babies. People are seeing some adverse health effects, especially those involved with the clean-up. Industry is still in trouble, especially if it relies on healthy people, animals, and a healthy ecosystem. The continuing effects on these things will not be known for years. There is still a lot of work to be done in the Gulf and still a lot of work we can all do to reduce our dependence on oil. We can’t let this happen again. Our children are watching. But this is what is fascinating to me, and should be part of the larger context when we talk about the spill, Big Oil, and lasting eco-friendly changes we can make in our own lives. 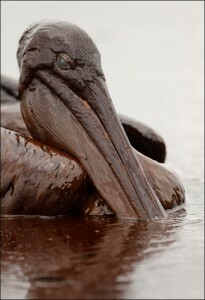 The leak was stopped on July 15, after it had already released 4,900,000 barrels of crude oil into the Gulf of Mexico. Sound like a lot? It is, as we can see by the enormous damage that it caused to the life and health of the region that is still ongoing today. But, according to the U.S. Energy Information Administration, in 2010, the United States consumed an average of 19,148,000 every day. The BP Oil Spill wreaked havoc with what was only a quarter of what is consumed every single day in the United States alone. The one important thing that we can do is reduce our own consumption of oil: fuel, plastic, electricity, personal care products (toothpaste, shampoo, soap, deodorant, perfume, etc. ), medicine, fertilizers, paints, asphalt, machinery lubrication. But by and large, the majority of oil we consume is for the transportation of people and products. Drive less. Walk whenever possible. Bike when walking isn’t. Bus and carpool when human powered transportation isn’t doable. Teach your kids to help you resist the temptation to reach for the keys and everyone’s health will benefit. Avoid buying new plastic products, especially disposable ones. Buy stainless steel or glass water bottles for home and trips. Buy used (just make sure they’re safe, no recalls) plastic toys and playground equipment. Or skip plastic toys altogether and go for wooden and natural fiber play things. Bring reusable bags to the grocery store and retail store. Support companies and products that use less packaging materials, especially less plastic, and renewable energy practices. Turn off lights and unplug appliances when not in use. Choose energy saving models when replacing old ones and only use when really needed. Screen-Free Week anyone? Buy organic produce, wild caught fish, and avoid artificial colors and preservatives. The pesticides and fertilizer that are used to grow conventional foods, artificial colors, and preservatives, are all made with petrochemicals that are again potentially hazardous to human health (carcinogenic) as well as the environment. Use green cleaners (I like Biokleen, Method , or Seventh Generation ) or make your own using vinegar, baking soda, water, and a little Dr. Bronner’s or tea tree oil. There are 17,000 petrochemicals available for home use, only 30 percent of which have been tested for exposure to human health and the environment. If your kids are older, see if you can help them list everything in your home that contains oil. See if there are any products that you might be able to find alternatives for or could use less. Have a discussion about why that might be a good idea. Then, the next best thing we can do after taking personal responsibility for our own oil consumption and getting our kids involved in that process? Share with others. Earth Day is almost here. I can’t think of a more opportune time to talk about this! Our children depend on us to not another disaster like this to happen again. Do you think the BP Oil Spill, and the damage it has caused through today, is enough of a motivating factor for you to think about reducing your oil consumption? 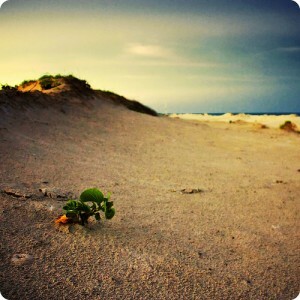 What is one change you can commit to for Earth Day, or any day? 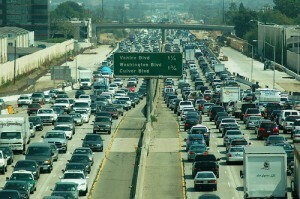 What are your suggestions for reducing oil consumption? What about your kids (I have been surprised at some of their ingenuity)? The picture of that pelican is so sad! It will definitely have an impact on my 10 year old animal lover. Thanks for sharing the truth! It is so sad, Amy. I think it can be so easy to forget just how much photos like these can affect our children. We need to tap into their powers of empathy and creativity! One can only hope that by exposing our children to these images, they will ensure this will never happen when they are in charge of the world. Love this post. Its so important to remind ourselves that our actions/choices feed the demand for oil that lead to the Gulf Oil Spill – and our actions and choices as we move forward can help to ensure it doesn’t happen again. Our family is doing a fairly good job of reducing our consumption, but I didn’t know about the personal care products! I’ll have to start reading the labels closely! Great post, as always. I had oil on my mind right around Earth Day myself, and started asking myself the exact question you posed in this post: What things in my home contain oil? It was prompted by the realization that electric cars, while a move in the right direction STILL do not eliminate oil because of all of the oil use in the production of each car – the oil to make the dashboard, the tires, the cup holders, etc. When, with this thought, I FULLY grasped the fact that plastic (for one) = oil, I was horrified by the state of my belongings! I will not throw things away because they contain oil – that is both wasteful and silly – but I am now more cognizant of each product I buy. Before reaching for the plastic, I ask myself – is there a more sustainable version of this product? It is fascinating how difficult it is to avoid oil! Finally, one added tip to reduce oil consumption is to buy local food – a HUGE portion of oil consumption in this country comes from the transportation of food from farm to grocery store. If we can decrease the trip(s) our food makes from farm to plate, then we will be making a real dent in the oil consumption in this country! I think talking to your family about the environment is extremely important! Great advice for helping your kids understand the dangers of the oil spill. It’s important for them to feel like they can help in this situation.